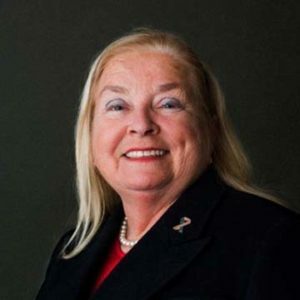 Marge Washburn’s most recent position has been as the Military Programs Advisor for Transhield, Inc. Transhield, based in Elkhart, Indiana, recognized as the market leader in cover protection technologies to commercial, industrial and government markets. She joined the company in July 2013. Since joining the company her efforts resulted in establishing solid and successful relationships with a number of high level Department of Defense (DoD), Headquarters Department of the Army (HQDA) and U.S. Army Combatant Commands around the world, Army Materiel Command (AMC) and National Guard Bureau (NGB) decision makers. As a 34 year Ordnance officer and veteran of the Indiana Army National Guard, Marge had the opportunity to command units and lead teams in the logistics field from company level up to brigade and served as the G-4 in the 38th Infantry Division. Additionally, she participated in numerous joint operations at the Division and NATO Regional Command level in support of Security and Nation Building Operations. Also performing as the Deputy Commander of Land Forces, Indiana National Guard–BG Washburn provided strategic and long-term planning guidance to the Army Staff. Concurrently—for seven years–as Chair of the National Guard Association of the United States (NGAUS) Combat Support/Combat Service Support Task Force–BG Washburn worked collaboratively with several NGAUS and National Guard Bureau (NGB) entities to ensure alignment and validation of equipment needs and financial capabilities pertaining to the entire Army National Guard. Other roles within the Indiana National Guard, such as Joint Forces Resource Manager and Deputy Director of Operations, bring experience in resource and supply management operations. Marge retired from the military in March 2012. In addition to her successful military career, BG Washburn enjoyed an accomplished 36 year career with General Motors and Allison Transmission, Inc., from which she retired in July 2013. Most recently she served as National Account Manager, where she was responsible for managing relationships with and sales to Allison’s largest customers, as well as business development and sales management. Sales growth throughout her tenure exceeded ten percent annually. Prior to that, she was Account Manager for Allison’s largest commercial customer, providing strategic planning, marketing, and budget management support to double sales to this client. General Washburn is recognized as one of the National Guard’s leading strategic thinkers in regard to equipping and modernizing the force. In addition to her strategic leadership, the General is always willing to roll up her sleeves and work alongside the troops. This ability to work at all levels – from troops to headquarters, the National Guard Bureau and other segments of the Army — brings unparalleled insight and knowledge regarding every level of troop support and the equipment maintenance process.